Chronic pain can be truly debilitating. Chronic pain is defined as significant pain that lasts for more than 3-6 months. You may suffer chronic pain after an acute injury or you may struggle with pain from a chronic disease like arthritis or fibromyalgia. It can develop in your back or your neck or can present as severe headaches and it can impact your day to day life and even your mental health. If you have experienced long term chronic pain, you have likely already seen one or more health care providers and been prescribed various medications to help you manage the pain. Unfortunately, the benefit from medications is often temporary, leaving you wondering if you will ever feel like yourself again. 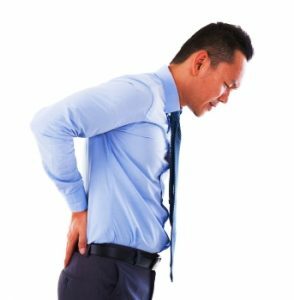 Comprehensive Non-Invasive Pain Management – Caron Chiropractic Clinic PA can help you manage long term pain without all ofthose medications. We have experience helping clients who have struggled with chronic pain as a result of an old injury, back problems, migraines, arthritis, nerve damage, and fibromyalgia. Chiropractic Adjustments: including spinal adjustments to realign vertebrae in your spine and neck. Massage Therapy: Massage therapy is very often used in conjunction with chiropractic adjustments to target specific areas of pain and relax and loosen muscles. Acupuncture: Safe and effective treatment that has been used for hundreds of years to help your body heal itself and improve body functions. Spinal Rehabilitation: This treatment incorporates physical therapy techniques in your individualized treatment plan. Laser Therapy: Caron Chiropractic Clinic uses laser light to direct bio-stimulative light energy to your body’s cells which the cells then convert into chemical energy to promote natural healing and pain relief. Arthrostim: The ArthroStim is an FDA-approved chiropractic instrument that offers targeted pain relief to specific areas of your body. Very often the team at Caron Chiropractic uses a combination of these effective pain management therapies to achieve optimal benefit for our patients. We understand that you have already seen many doctors and tried many things. We will take your symptoms seriously and work with you to help you find relief. For more information or to schedule an appointment with our team, call Caron Chiropractic Clinic PA today at 651-255-9999. This entry was posted	on Wednesday, January 23rd, 2019 at 10:37 am	and is filed under Chronic Pain, St Paul Chiroprator. You can follow any responses to this entry through the RSS 2.0 feed. You can leave a response, or trackback from your own site.